Animal Pros provides dead animal removal services to greater Nashville and Middle Tennessee area wide including Franklin, Brentwood, Hendersonville, Spring Hill, Columbia, and Middle TN area wide. One of the first concerns when a wild animal dies in your home, is the odor. If you are experiencing a dead animal smell or odor, give us a call. Wild animals are present in your home, they typically like to hide away in small crawl spaces, attics, or walls. If a animal happens to die, it will start to decay and attract other pesky creatures into your homes attic or crawlspace. Actually finding and retrieving the dead animal in greater Nashville can prove difficult, and many home owners prefer to leave it up to a professional. Common dead animal removal calls we receive includes:Dead animal in the attic. Dead animal under the home. Dead animal in the yard. Dead animal smell in home. Dead animal in the pool. Dead animal caught in the fence. 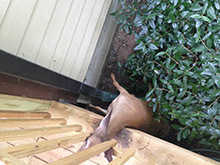 Dead animal under the deck. Dead animal in the air duct lines. Dead animal in the insulation. Dead animal, and the presence of flies. Dead animal, and the presence of maggots. Dead animal in the wall. Getting rid of dead animal smell. Finding a dead animal in the home. Dead animal in the chimney. Our trained professionals will find the source of the dead animal, and remove it safely. We provide odor control services to remove the smell that will happen as a result. If the animal has damaged the area, we can also provide restoration services to bring your home back to it’s original condition. Common dead animals we encounter include dead skunks, dead squirrels, dead rodents, dead deer, dead opossums, and dead raccoons. How do you get rid of the odor of dead animals? Unfortunately, there is no magic spray or device that you can use to make them go away. Perfumes and masking agents won’t help. The use of a moth ball or other repellents often fails during the Nashville dead animal removal process and is not a legal repellent for wildlife. Dead Animal Removal isn’t always a simple process. It usually includes crawling into tight, cramped spaces in potentially hazardous conditions. The dead animal must be found, removed and properly disposed of. Then the area must be cleaned and decontaminated. It is also critical to perform animal exclusion to ensure the area is properly sealed off to prevent any animals from returning. Our step-by-step solutions will effectively solve dead animal problems permanently. Complete exterior seal-up of your home or building. Guaranteed work, with a warranty you can trust. We specialize in rodents, dead animals, and wildlife. If a dead animal is found on your property or place of business, many people often assume there is a city department that will handle dead animal carcass disposal. The fact of the matter is, there is a city department that will handle dead animal carcass disposal on a public road, but not on a private residence or commercial business. For assistance to report a dead animal for pick up on a road call Metro (615) 880-1000, or on a interstate or state highway call TDOT (615) 350-4405. For assistance to have a dead animal carcass removed from a private residence, or business location, contact Animal Pros (615) 613-5992. Size of the animal – Larger animals will smell longer and stronger, as there will be more decay of the animal. Location of the animal – This can play a vital role in the strength of the odor, from exterior dead animals in close proximity to your home, to dead animals in your attic, crawlspace or wall. Other decaying matter – Not only will you have odor from a dead animal, but often you will have strong odors from feces, urine, nesting, or the animal itself. Species of dead animal – Different animals will have a distinct smell. Often times walking into a clients home, detection of the problem animal can be determined by simply smelling the air. Stage of decomposition – There are 5 different stages of decomposition to describe animal decay. These include fresh, bloat, active, advanced, and dry decay. 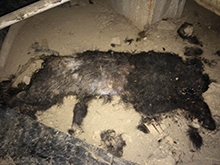 Exposure to the elements – Dead animal carcasses exposed to air or water will decompose at a quicker rate than a dead animal in a confined space with limited ventilation like a attic or crawlspace. Access by scavengers and insects – This will greatly effect the rate at which a dead animal will decompose if accessibility by flies or other insects. Dead animal odor removal can be a challenging task, but success can be obtained if you remove the source of the odor, the dead animal. What makes this challenging is very rarely, the dead animal will be located in a easily accessible area. Often times odors can linger in limited ventilated areas like attics, walls, and under homes. Prompt action will be required in removing the source, to effectively remove the odor. Dead mice or rats in walls. Regardless of where a dead animal is located around your home, if the animal has died in your home, finding the animal usually takes a professional. Dead animals will often die in walls, or tight, confined areas, making access difficult without proper tools and equipment. Professional dead animal removal services by Animal Pros specialists offer 24/7 immediate service for fast and effective dead animal removal. Call us today for immediate assistance. Exterior dead animal carcass removal in Nashville and Middle Tennessee is one of the most common calls we receive. Dead animals will often be hit by a car and wander on to someone’s property to die. Injured animals that happen to be alive can be handled by calling your local police department or Tennessee Wildlife Resource Agency. Once the animal dies, you will need to contact a Animal Pros dead animal carcass removal specialist for removal. 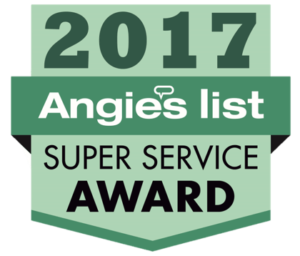 Animal Pros provides professional dead animal carcass removal and pickup, and disinfecting and sanitizing after removal of dead animals. Dead domestic stock removal, which includes horses, cows, goats, and such. There is no provided service for pick up of domestic animals in the event one passes. However there are several options to help with disposal for small and large animals. For domestic dead dogs and cats, a veterinary clinic or hospital can help. Some do offer animal cremation, incineration, and disposal for a fee. Some landfills will accept a dead dog or cat, but will usually need to be a class 1 landfill and for a fee. Small dogs and cats can be buried, if suitable, depending on location, and local regulations. For large dogs, you can contact a private wildlife company, transport to a landfill, or a veterinary clinic for disposal. For dead animal removal domestic stock, usually including horses and cows, there is not much information online for this service. 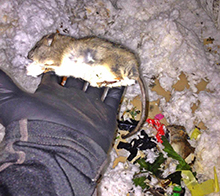 Some landfills will not accept a dead animal of this size and if they do will charge a per pound rate in addition to burial fees, so calling a landfill prior is required. Equine boarding facilities usually will have a contact for removal of dead horses and cows, and there is always the option for on site burial. Municipality dead animal carcass removal is a growing debate that is increasing as human – wildlife conflicts are on the rise in most areas. Dead animal removal is costly, as there are strict environmental regulations involved with proper disposal of a dead animal carcasses. With the number of dead animal reports growing yearly, many Municipalities are faced with a growing budget dealing with the problems of dead animals. Many Municipalities are finding value and saving budgets eliminating dead animal pick up services and offering the services of a private wildlife company. A Private Wildlife Control Operator does not operate during State employee hours, but will be available around the clock, as many dead animal vehicle crashes will occur at night. Most State Employees are more beneficial as equipment operators than dealing with a labor intensive removal and disposal of a dead animal carcasses. Contact Animal Pros dead animal carcass removal services to schedule a consultation today. Municipality dead animal removal services are available in Nashville and Middle Tennessee area wide. Animal Pros operates statewide in Tennessee.